Make Some Noise is not a mental health podcast. It’s also not an art podcast. 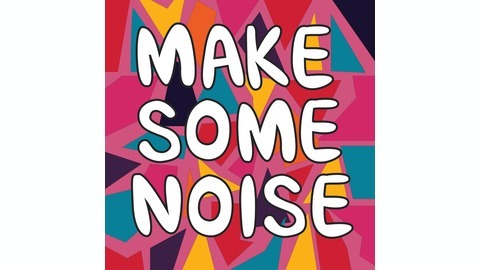 Make Some Noise is not a prescription for happiness. 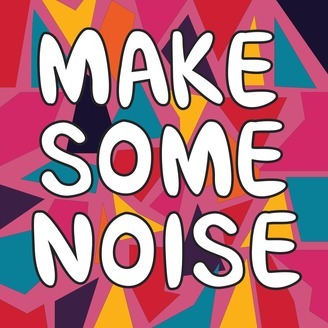 Make Some Noise is conversations about prioritising creative expression as a tool for self actualisation. Creative expression is an important part of staying connected to yourself and expressing your emotions in healthy ways. In times gone by creativity was an integral part of community life: we sang, we danced and we created (weaving baskets, creating costumes, etc) and these days it’s an after thought. Something we do if and when we finish everything else on our to-do lists. Karly Nimmo is setting out to change that. She wants to bring what is seen as ‘frivolous’ and ‘indulgent’ to the forefront. Make it a priority. In Make Some Noise Karly explores whether there are legit links between how we live today and the epidemic levels of mental health issues we are currently experiencing. Join us for conversations with professionals in the mental health space; psychologists, psychotherapists, art and music therapists. Plus stories of real life stories of how self expression can play an important role in improving mental wellbeing. Today, on Make Some Noise we meet Nicole Gibson, a multi-award winning social entrepreneur, but she prefers to see herself as an unstoppable messenger of love and human potential. Nicole's mission is to gain collective participation in conversations that offer new possibility and new vision; let’s turn up the love. Nicole is a fierce ambassador for mental health, innovation and connection after recovering from her own terrifying lived experience with anorexia nervosa through her teenage years. In this episode, Karly and Nicole talk about cultivating a healthy relationship with yourself. They speak about the importance of trust and the best ways for people to start believing in themselves. Nicole shares her experience and inspires us to start asking questions.